When the new Facebook Business Page layout changes were originally announced on March 10th, it’s safe to say that the general public didn’t anticipate the myriad of alterations that are now on the horizon- especially once Facebook users were able to “test drive” the new layout on May 23rd! Though it can be previewed now on a limited amount of profiles, this new streamlined look that will adorn Facebook Business Pages will officially launch on June 6 with other profiles converting over on June 13. 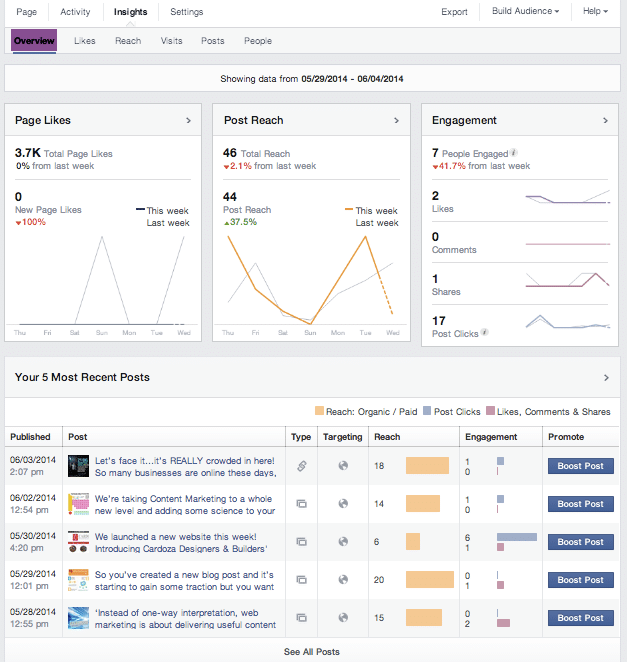 What are the new changes for your Facebook Business Page? At this time, we’re going to take a look at some of the differences in the new Facebook Business Page layout. Get Set For The New Facebook Page Layout! 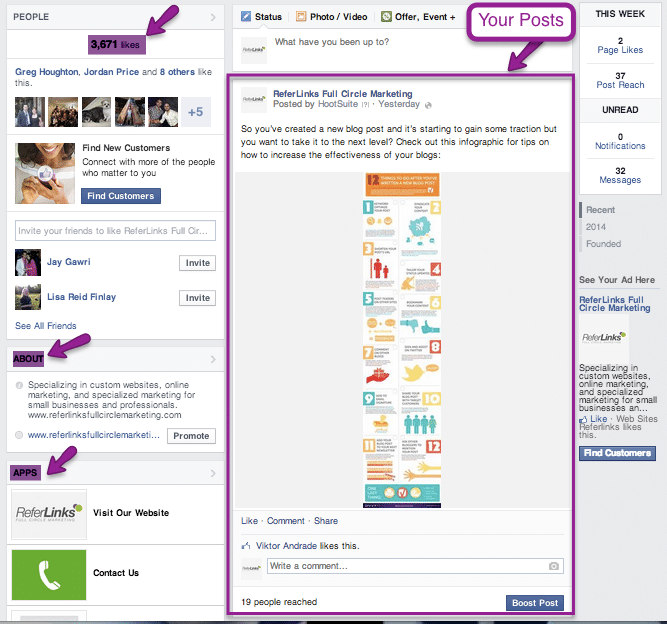 With the new Facebook Business Page layout, your posts will now appear on the right-side column. On the left column of your Page, you will now see how many likes you have, the location of your business, the Facebook apps that you have installed, photos, posts on your page added by users, and reviews. Underneath your header, you now have a few tabs. Any existing Facebook app tabs that you’ve installed previously, whether it’s a Pinterest tab, Twitter tab, website redirect tab, Youtube tab, or any others will now be in this dashboard bar. Your cover photo will stay at the same size that it was previously. However, it’s important that you remember to be conscious of anything that’s moved up from the Facebook dashboard, such as the name of your page, your industry, as well as the ‘Like’ button and messages tab. Below, we have designed a template for the new Facebook Business Page layout that allows you to properly optimize your Facebook header to ensure that all your contact information, logos, and graphics will be visible! Feel free to download it and save it for your own personal use! It’s time to say goodbye to the hanging analytics chart that’s above your profile! The new layout provides users with a feature that’s even more organized. On the right side of your page, you will now see a brief, streamlined overview of analytics for the week, such as likes, notifications, messages, and how many people your posts reached. Above the header is the new built-in analytics, along with notifications and settings. You will now have a series of four tabs: Page, Activity, Insights, and Settings. Activity shows all notification you have gotten, along with any messages. You can also see a feed that only includes your posts. This tab provides users with data from the previous week. In the new Facebook Business Page layout, it gives users more depth, thanks to the variety of charts and graphs that can help them properly gauge and assess the data. Engagement: By using the new Engagement feature, you get to see which users are engaging with certain posts. Thanks to this new feature, you can also see how much engagement that you’re getting each week. 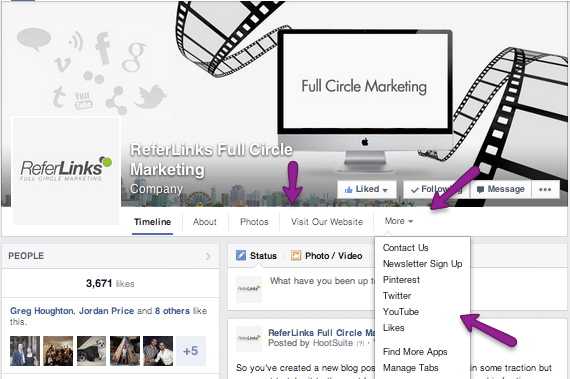 This new feature for the Facebook Page layout allows you to see others that are in your industry. This can help you adequately compare your performance on Facebook to their performance. This helpful feature can allow you to see where you can improve. Best of all, you can learn about what others in your industry are currently discussing. 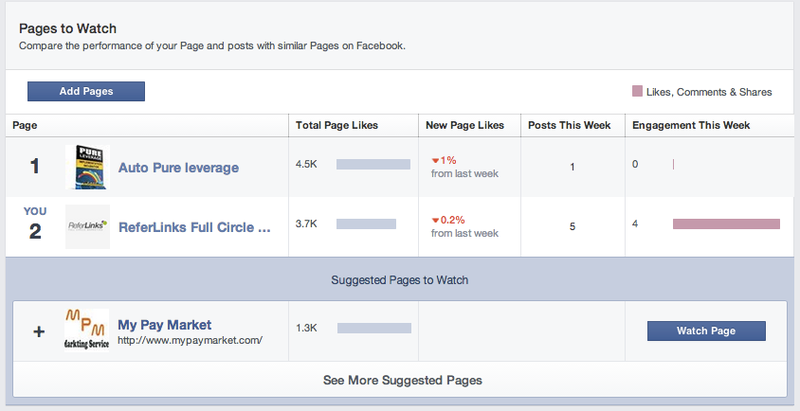 Likes: This breakdown can show you your total likes over a month. It also provides you with the ratio of unlikes to likes; which can help you determine what’s working and what isn’t. A useful new feature will now show you where your likes came from, whether it was from your page, page suggestions, posts by others, or paid. Visits: This particular tab tracks who is visiting your page, and where they’re from. The Page and Tab Visits section tracks the number of times that each of your Page tabs were viewed, such as your timeline, photo tab, and info tab. External Referrers tracks the number of times people came to your page from a website off of Facebook. You will see results that show people visiting your page from your own website, Google, Yahoo, and more! Posts: This shows you the times that your posts are getting better views and engagement. This can help you pinpoint the perfect time to add posts for your fans, along with crucial information about which posts are more successful for you, whether it’s pictures, links, or videos. People: People tracks the ratio of men to women who like your page, as well as the countries, cities, and languages that your page is exposed to. From there, all of that data is broken down into Your Fans, People Reached (who you’ve reached outside of your fans,) People Engaged (who’s engaging with your posts,) and Check-Ins. 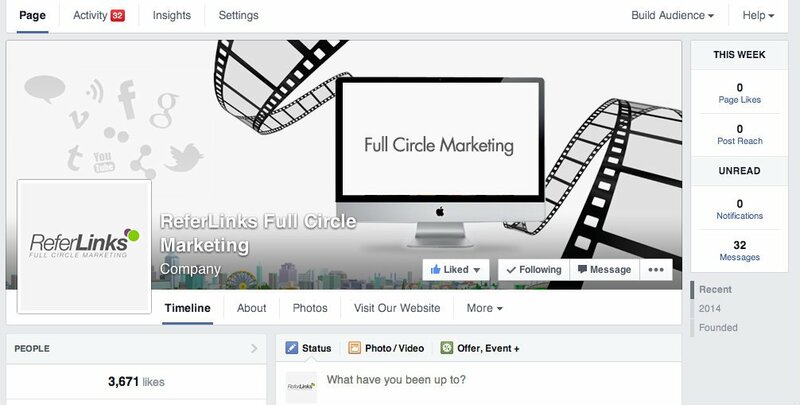 A great new option that’s included in the new Facebook Page layout is Get To Know Your Audience. With this new feature, users get to take an inside look at understanding how people are responding to their posts. It is particularly useful for those that want to create content that their audience cares to read about. The new layout changes to Facebook Page are more than just a mere update- it has people talking, and in this industry, that’s a good thing! Are you excited about these upcoming changes? If you’d like to learn more about these Facebook Business Page changes, click here. This entry was posted in Social Media and tagged Facebook Marketing,New Facebook Business Page,New Facebook Business Page Layout,New Facebook Layout,New Facebook Page,New Facebook Page Layout,Online Marketing,Social Media Marketing on June 4, 2014 by ReferLinks Online Marketing.